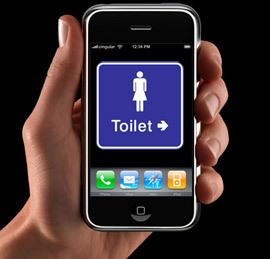 The West Bengal government has taken the first state initiative to launch a mobile app in Malda district which will help in monitoring the sanitation situation inside the schools, eventually spread across all the districts. It has a single-fold purpose to monitor the sanitation initiative across different schools in various districts. The Malda district will be the first in the state to implement this regulatory model where all school inspectors and teachers will be equipped with the mobile app from next month. The use of click technology through an app will help in easy coordination between the activities of the district magistrate, school authorities and the state government. “They will be monitoring whether toilets are functional, whether they are being used, hand washing is being done or not and other activities related to sanitation via the app,” S. N. Dave, WASH specialist, UNICEF, told the media here. “The information will be fed to a server and will be available on a real-time basis. The information from grassroot will be conveyed to the state,” he said. Developed by the Administrative Staff College of India, Hyderabad, the app-based campaign is being spearheaded by UNICEF in collaboration with the Bengal government in the state, the official said. “It was launched in Andhra Pradesh and next launch is in Bengal. Later on, it will go to other states. It’s a state initiative,” Dave said, adding a budget of Rs.20-22 lakh has been earmarked for Malda district to introduce the service. Dave was speaking on the sidelines of the launch of the state protocol for declaration, verification and certification of villages/gram panchayats/blocks and districts as open defecation free.